Walt Johnson has worked at the Minneapolis Central Library for more than 20 years. 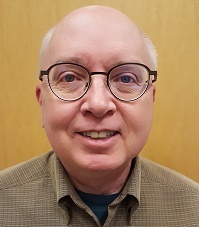 He served as a USPTO Patent & Trademark Fellowship Librarian from 2002-2004, and manages the USPTO-designated Patent & Trademark Resource Center (PTRC) at MCL. Walt has held various positions within the Patent & Trademark Resource Center Association.